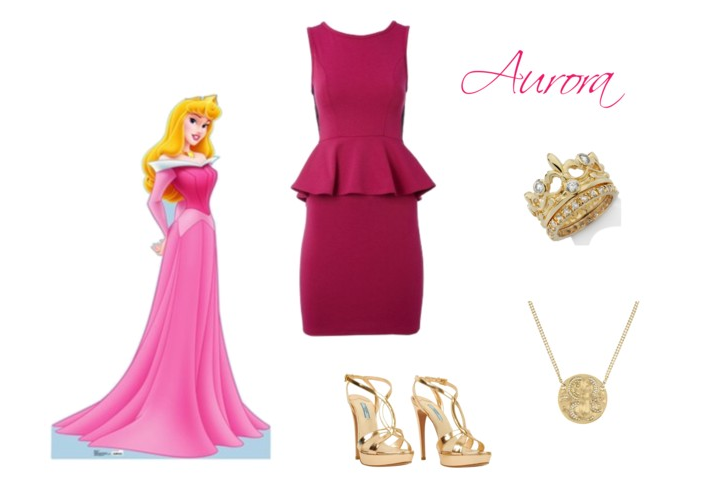 I'm excited to share this week's Disney Princess Inspired Outfit, Aurora! I chose a peplum dress because it is such a hot trend right now and it also has a distinguishable element to it, just like Aurora's original white-colored dress. I brought in the crown through the stackable rings for an added touch. Overall, I think the gold with the pink is just really cute and classy.